Crystals used. 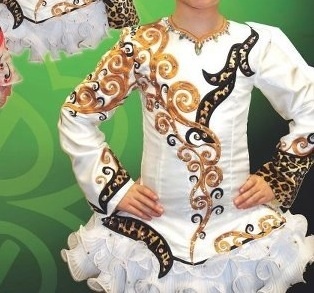 Dress was worn by a petite U10 dancer. Room for let out at the zip and frill could be added to length.